The car had rolled several times before coming to rest on its roof, ejecting the driver onto the highway. 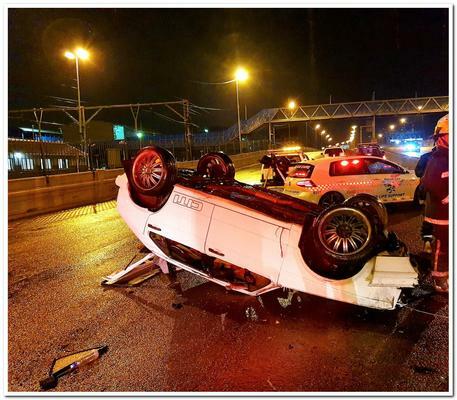 A man believed to be in his 30s was killed when a car veered out of control and crashed on the M4 Southern Freeway, Durban-bound before the Moore Road off-ramp in the early hours of Sunday morning, paramedics said. Rescue Care paramedics responded to the call just after midnight to find a car had rolled several times before coming to rest on its roof, Rescue Care spokesman Garrith Jamieson said. The cause of the accident was unknown, but police attended the scene and would investigate, Jamieson said.